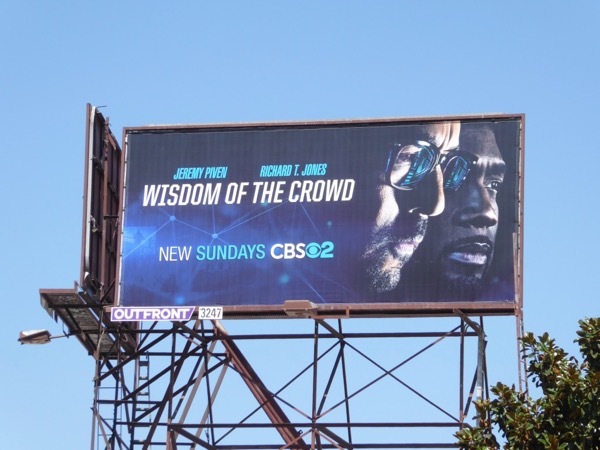 The fall season TV shows are coming thick and fast at the moment and new CBS crime-solving drama, Wisdom of the Crowd, makes its debut tomorrow night. 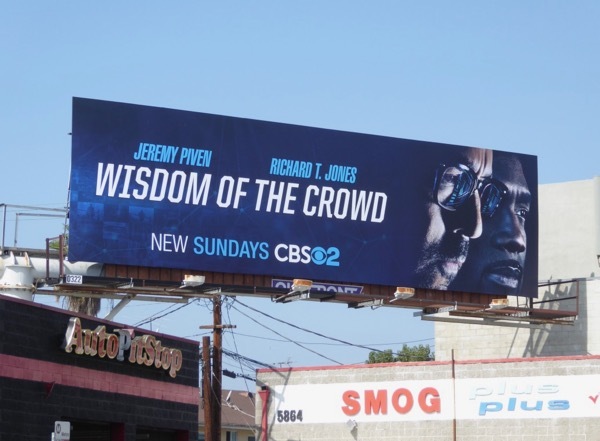 Jeremy Piven stars as a grieving tech billionaire who creates a cutting-edge crowdsourcing app to help solve his own daughter's murder. 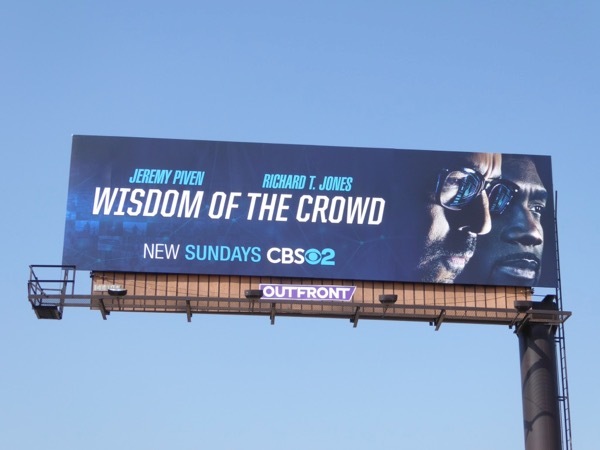 Realising the potential for the technology, he enlists the help of Richard T. Jones detective to use the app responsibly and help solve other crimes. 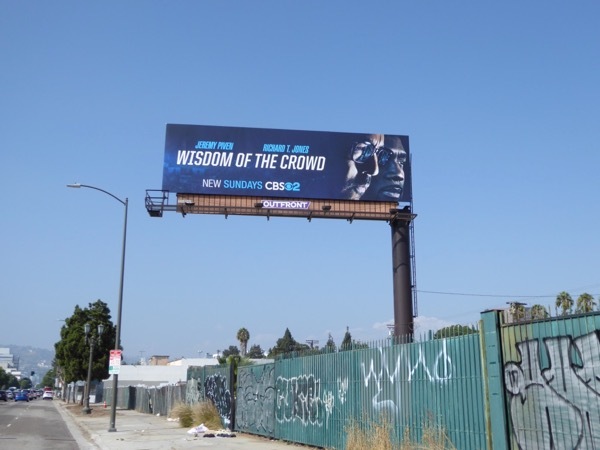 These series launch billboards for Wisdom of the Crowd were snapped along L.A.'s La Cienega Boulevard, Beverly Boulevard, Santa Monica Boulevard and Pico Boulevard from August 25 to August 27, 2017. 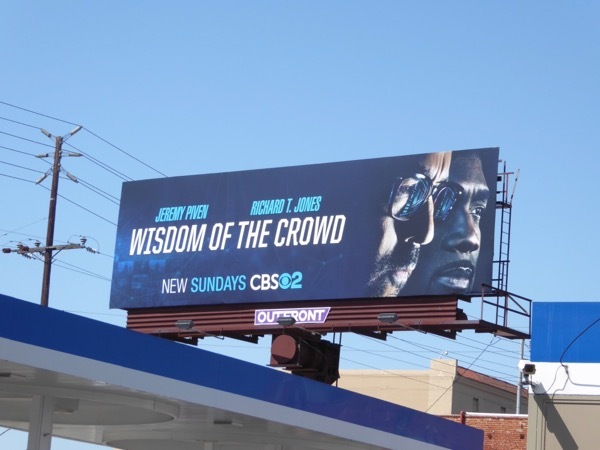 Jeremy Piven fans can also check out all these season promo and film billboards for Entourage from recent years. 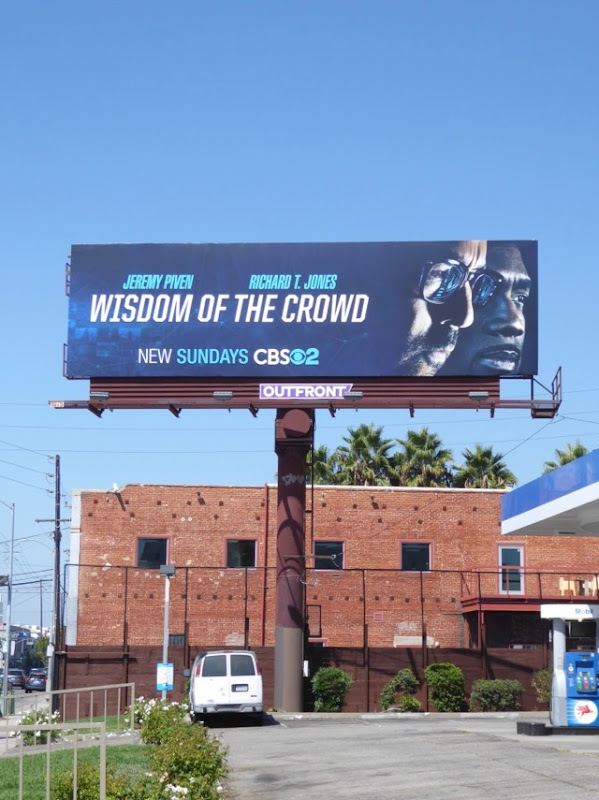 This type of technology opens up all kinds of morality and privacy issues, so hopefully that will help prevent this new series simply becoming a case-of-the-week kind of show.